I’ve been married to my wonderful wife, Phyllis, for 41 years. We have 2 sons, 2 daughters and 14 grandchildren. I served in the Navy and Army for 3 years. I am a minister at Living Word International Ministries as well as a volunteer mentor and volunteer minister at the Ellsworth Correctional Facility. After 29 years of working for Schwan’s Food Company as a supervisor and manager, I retired to pursue Real Estate full time. I’ve been a Real Estate Consultant for 10 years and simply love the opportunity to help people. There is nothing I enjoy more, it’s my nature. I am a member of the Salina Area Chamber of Commerce and a Director for the Salina Board of Realtors. 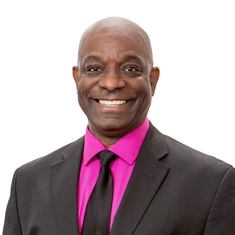 I hold several real estate designations including e-PRO (effective use of technology in Real estate marketing), CDPE (Certified Distressed Property Expert, ABR (Accredited Buyer’s Representative), and SFR (Short Sales and Foreclosure Resource certification). These certifications allow me to help Buyers as well as Sellers in a variety of complex situations that are present in today’s Real Estate market. 2015 Salina Sculpture Tour - People's Choice award winner was "Daughters of Peace"
Bought a Single Family home in 2016 for approximately $100K in Salina, KS. Great experience! Charles was very helpful and did everything in a timely manner. I think we looked at maybe ten houses before I decided on the one. Picking out the house was the hardest part. Charles and his associates made everything else easy after that. Bought a Single Family home in 2016 for approximately $125K in Salina, KS. Very kind and very helpful! Made our homebuying experience wonderful! Couldn't have asked for anyone better! Will definitely be referring others! Wonderful experience! Sold a Single Family home in 2016 in Salina, KS. Charles is fine gentleman and a true professional that works very hard for his clients. He will keep you informed as to every detail while going thru the process of buying or selling... I would highly recommend Charles to anyone looking to buy or sell a piece of real estate. Bought a home in 2015 in Riley, KS 66531. Charles did an amazing job helping us buy our home. He's professional, and such a kind-hearted man. He helped us day and night with whatever we needed and made sure everything worked in our favor. There isn't anything he won't do to help. Sold a Single Family home in 2015 in Salina, KS. Charles is very efficient and pleasant to work with. He sold our house on the same day as it was listed! Charles has made this experience pleasant and worry free. I highly recommend him for all of your realty needs. Charles Ross was referred to me through a friend who was impressed by his service. I am very happy Charles Ross was our realtor throughout the process of owning our newly constructed first home! He was knowledgeable and efficient. He traveled to meet us and always took time to discuss at length issues we had. We love our home and owe many thanks directly to Charles for his hard work from the beginning to the end, and even afterwards. Charles tried to help me sell a house. The only reason it did not work out was due to my not being name as the executor at the time. It had nothing to do with Charles. When it was all said and done, the house was taken off the market due to matters beyond my control.He did everything in a professional manner and was very nice to work with. He is a pleasant man to work with and I would recommend him to anyone. Sold a Single Family home in 2014 for approximately $75K in Salina, KS. Charles did an excellent job selling my home. He uses social media well to get your house out there for many people to see. We went through a lot of negotiating to sell our home and Charles stuck with me the whole time. He is a very nice guy and easy to work with. He had lots of open houses and kept me up to date with everything. I would recommend having Charles help you with all your realty needs. Bought a home in 2013 in Bavaria, Salina, KS 67401. Charles provided expert real estate services in assisting me to buy an investment property in Salina, Kansas in 2013. He did an outstanding job in understanding my objectives and finding properties that met my investment criteria. He has lived in the Salina area his entire life and is extremely familiar with the area. I would rate him as extremely responsive and trustworthy. His support in negotiating an acceptable agreement was invaluable to the outcome. Bought a Single Family home in 2009 in Salina, KS.